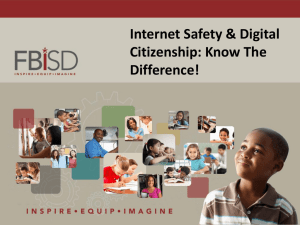 calls, faxes, and other outbound communications. predictive dialers are autodialers (more on this later). 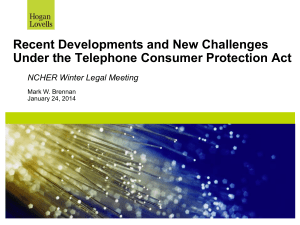 Wireless rules increasingly important, particularly when serving younger Americans. 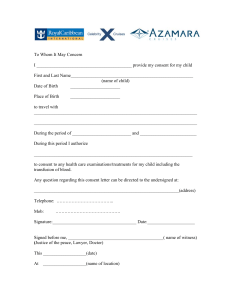 NOTE: Adults are aged 18 and over; children are under age 18. SOURCE: CDC/NCHS, National Health Interview Survey. 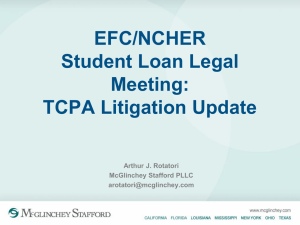 • Minimum statutory damages of $500 per call. 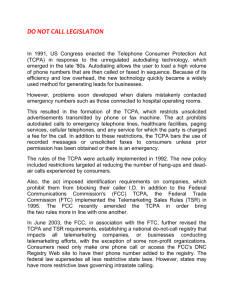 • Cross-practice TCPA Working Group. 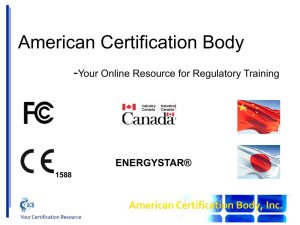 Trade Commission, Congress, and state agencies. 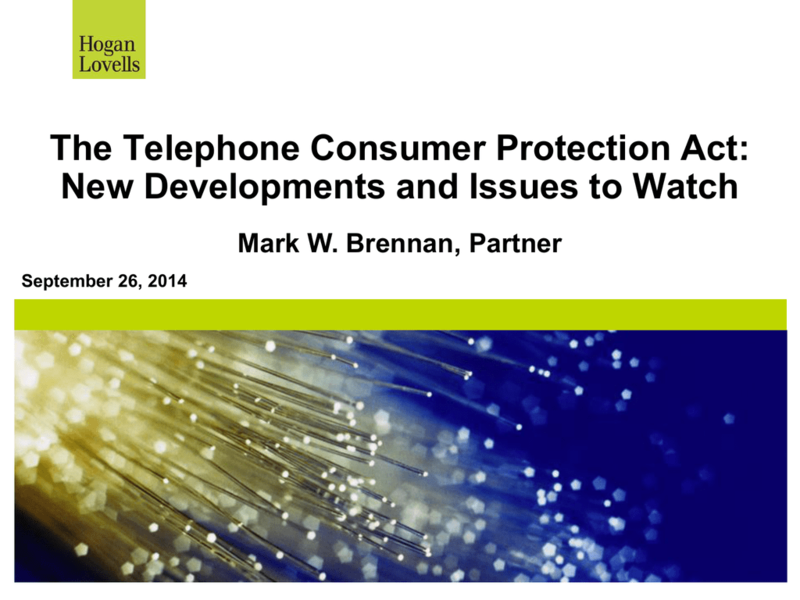 • Worked with the FCC to clarify TCPA rules. 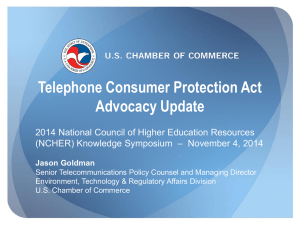 Will there be a TCPA rulemaking? 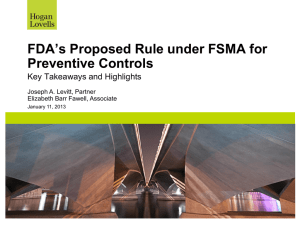 Will there be more industry-specific exemptions? other new technologies and services? – What level of consent can you demonstrate? 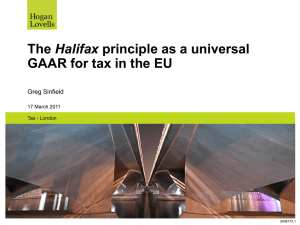 – Have you obtained additional consents under the new rules? 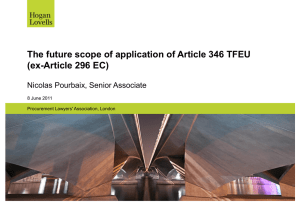 – Are the disclosures adequate? – Are the telephone number types specified? 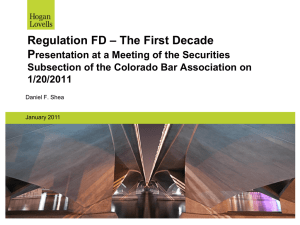 "Hogan Lovells" or the "firm" is an international legal practice that includes Hogan Lovells International LLP, Hogan Lovells US LLP and their affiliated businesses. designated as partners, but who are not members of Hogan Lovells International LLP, do not hold qualifications equivalent to members. 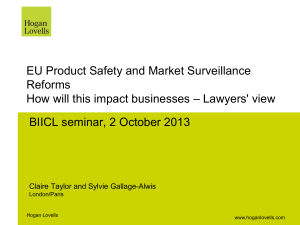 For more information about Hogan Lovells, the partners and their qualifications, see www.hoganlovells.com. Where case studies are included, results achieved do not guarantee similar outcomes for other clients. Attorney Advertising. 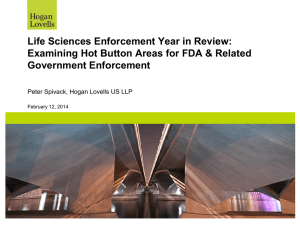 © Hogan Lovells 2014. All rights reserved. 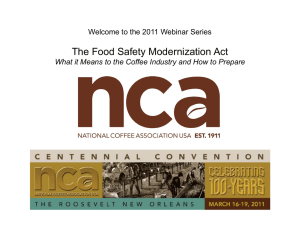 Food Safety Reform - National Coffee Association of U.S.A.